The maintenance organization can be viewed as one of the most integral aspects of the maintenance management system at Black Sea Terminal, a company that has successfully managed to develop and dynamically improve maintenance efficiency to achieve the objectives and goals of Maintenance Department. The Maintenance Department maintains the terminal’s equipment performance for the entire period of its operation, and high-quality preventive maintenance plays a key role in increasing the asset reliability and availability of Black Sea Terminal. Job-specific refresher training courses are conducted on a regular basis for our skilled technicians in order to increase their competence and plant reliability and to assure our personnel’s qualifications. Kulevi Oil Terminal together with Maritime Transport Agency of Georgia and other leading companies of the maritime sector of Georgia represented the country in “Posidonia 2018”, the 31st International Shipping Exhibition, which was held on June 4-8 at the Metropolitan Expo, Athens, Greece under the auspices of Ministry of Maritime Affairs and Insular Policy, Union of Greek Ship-owners and Hellenic Chamber of shipping with the support of Municipality of Piraeus and Greek Shipping Co-operation Committee. Ramadan Bayram is one of the most important holidays. It is a celebration of love, spiritual strength and understanding; an opportunity to cleanse one’s soul after a month of fasting, and a reminder to forgive and forget all the bad things and help the needy so that the goodness of Allah shines upon you. This holy celebration reigns as a sign of peace and harmony, which is a perfect example of peaceful and happy living. In the oil and gas industry, awareness of the importance of environmental issues has become more and more central and environmental compliance is one of the fundamental aspects playing a major role in the industry. A training course focusing on the importance of environmental and waste management awareness was organized by Kulevi Oil Terminal with one of the leading training companies in the region. The training session included a lecture, discussion, and both an interim and final assessment. According to the agreement between Black Sea Terminal (BST) and the Ministry of Environmental Protection and Agriculture of Georgia (MoE), BST is obliged to conduct annual environmental monitoring with the corresponding reporting as per the dictates of the Environmental Monitoring Scheme. The Annual Environmental Monitoring Report, which contains all the information pertaining to activities related to environmental protection, will be sent to the MoE by the end of Q1 of the reporting year. The Environmental Monitoring Report summarizes all environmental monitoring activities and mitigation measures conducted by the BST in accordance with the Environmental Monitoring Scheme. 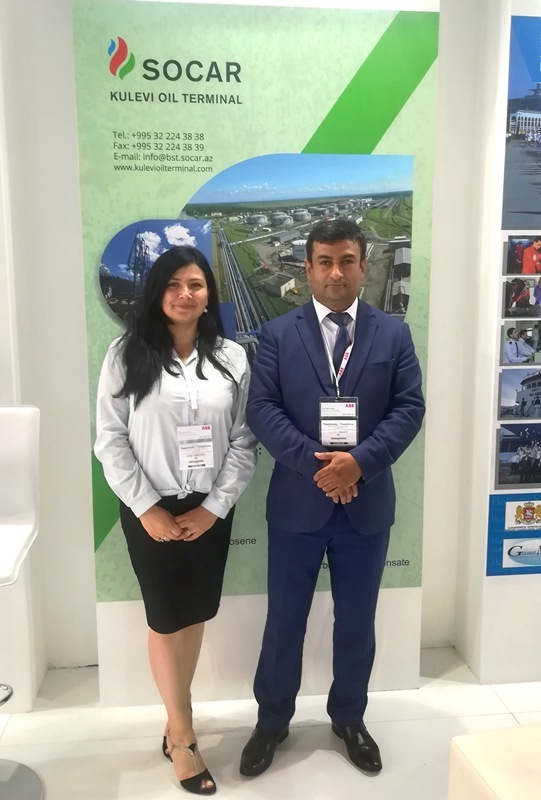 Kulevi Oil Terminal participated in the largest energy event in the Caspian region which started May 29th in Baku. The first exhibition was held in 1994 when Azerbaijan was a young independent state, seen as frontier economy. The exhibition played an extremely important role in attracting investments. 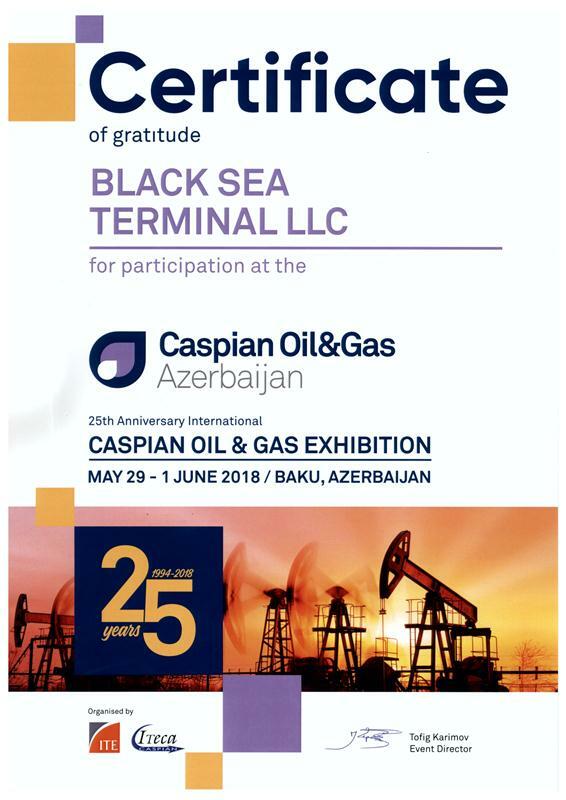 Over the past 25 years Caspian Oil and Gas has become a global scale and prestigious international exhibition with a steadily growing number of participants. 2018 - One of the most important year in the history of Georgia and Azerbaijan. 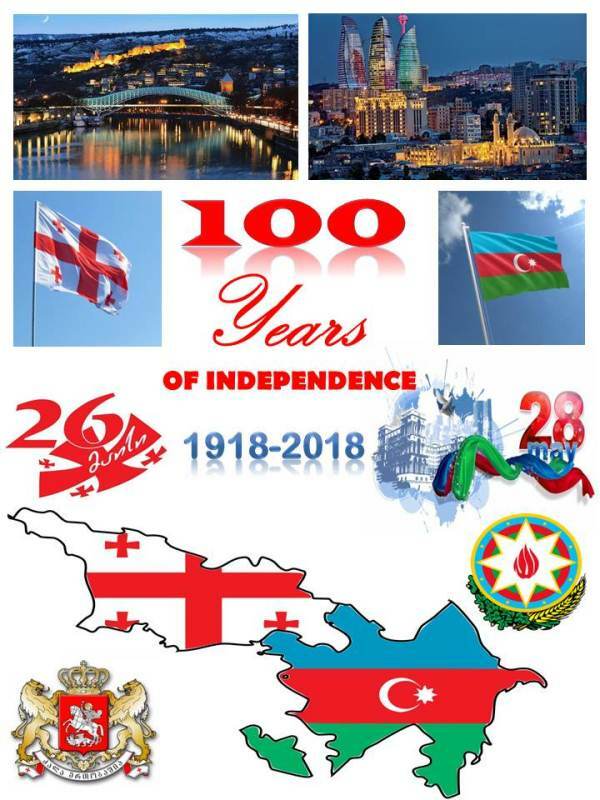 It was on 26th and 28th of May 1918 Georgia and Azerbaijan gained independence and adopted the act of independence giving birth to the democratic republic of Georgia and Azerbaijan. The citizens were thrilled and overjoyed on the realization of their long awaited dream of freedom, but being part of independent nations were they could be a part of development for bright future of their countries. This freedom was a guarantee of equality for the citizens of both the countries and their political rights regardless of their nationality or social status. The commitment to preventing the pollution of the environment is the highest priority for Black Sea Terminal. The terminal’s management takes all the necessary measures to achieve and maintain continual improvement of its environmental management system and ensures compliance with all legal requirements. The protection of the environment is also one of the most important inputs during the design and development of the terminal’s main equipment and facilities. Considering this in the very early stages of the terminal facilities blueprint, the terminal was designed while taking into consideration the possible pollution scenarios that could result. This is a day to remember, as the majority of the employees currently working at Black Sea Terminal have been working here since it began operating on May 16, 2008. 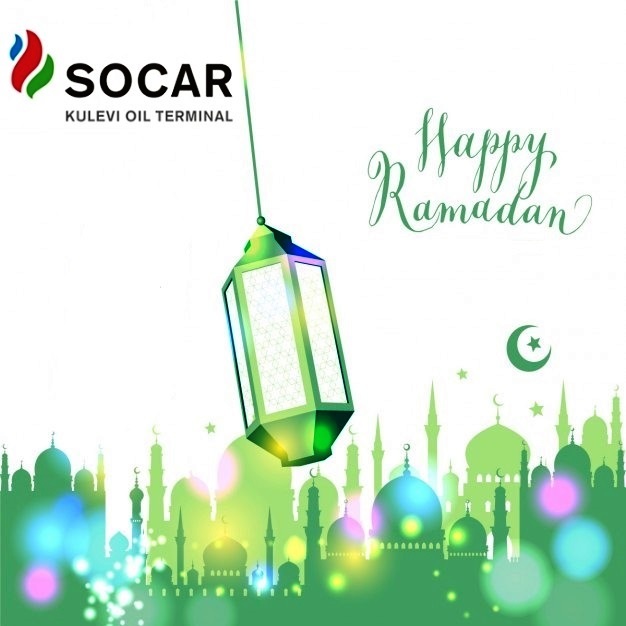 Ten years ago on this day SOCAR Azerbaijan made one of its most important investment’s in the Georgian economy with the establishment of Black Sea Terminal and Kulevi Port, which brought to the region a company with modern infrastructure, a material-technical base that was fully compliant with international technical norms, and a number of newly renovated ports and terminals located at the Black Sea Coast. Today, Black Sea Terminal representatives attended a solemn reception organized by the Consulate General of Azerbaijan in Batumi. The event was dedicated to the 100th anniversary of the Azerbaijan Democratic Republic and the 95th anniversary of Azerbaijan’s national leader – Heydar Aliyev. The organizers presented a documentary film about the relations of two friendly countries – Georgia and Azerbaijan, as well as samples of Azerbaijani and Georgian folklore. The guests also enjoyed a spectacular performance of the Batumi and Khorumi ensembles.